My thoughts: This book is marketed as a cozy mystery, and while those books have their fair share of humor, this one tops them all. You know the saying "If it wasn't for Bad Luck, I'd have no Luck at all?" Well that sums up Austin Carr. His income has tanked, he has lost most of his material possessions because of it. He lives in a rusty camper and can't see his kids - which is what he wants more than anything. When the story starts out you think this is just a deadbeat dad, sort of homeless, alcoholic. But, in spite of all that he has a heart that makes you love him - you just can't help it! This is a very quick moving book, with lots of twists as a mystery should have - but it will definitely keep you laughing! I found it very entertaining, quick to read, and though it is a mystery - it also has a light hearted feel to it. It is a fun book to the beginning of a new series. Can't wait to see what other troubles Austin will get in to! 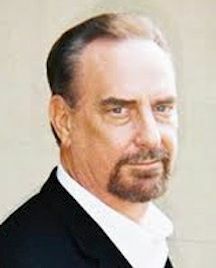 About the author: Former Los Angeles Times reporter Jack Getze is Fiction Editor for Anthony nominated Spinetingler Magazine, one of the internet's oldest websites for noir, crime, and horror short stories. Through the Los Angeles Times/Washington Post News Syndicate, his news and feature stories were published in over five-hundred newspapers and periodicals worldwide. 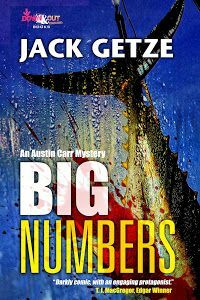 His two screwball mysteries, BIG NUMBERS and BIG MONEY, are being reissued by DOWN & OUT BOOKS, with the new BIG MOJO to follow. His short stories have appeared in A Twist of Noir and Beat to a Pulp. Getze is an Active Member of Mystery Writers of America’s New York Chapter. Kristi I am so sorry for your loss. Will keep you in my prayers. I'm so sorry about your brother, Kristi, and hope we didn't interfere. I want to say that I lost my brother 18 years ago, and while of course I still miss him, so much about the man is also still a part of my life. The best times stayed will me. Evernight Publishing Birthday Bash Blog Hop!